Tip: Before making these costumes, first learn how to make duct tape fabric. 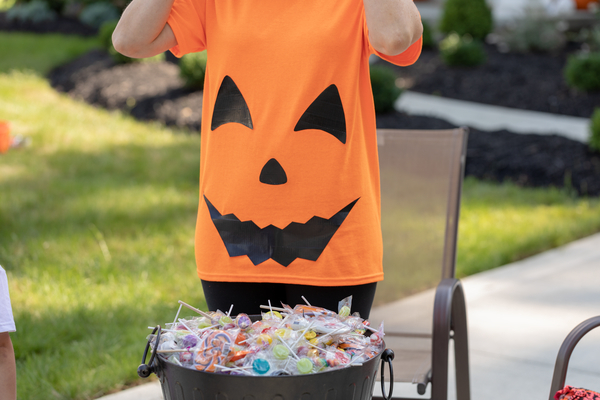 Play your cards right and make the perfect simple DIY Halloween costume. All you need is a t-shirt and some red or black Duck Tape. Autumn is the perfect "season" for a salt and pepper costume! You'll just need one white t-shirt, one black t-shirt, and some Duck Tape. 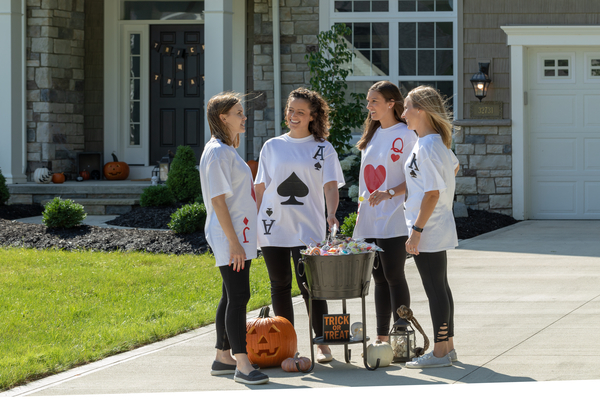 Just use the same method as the playing card costume to customize your shirts! Orange you glad you have a great Halloween costume? Make a quick and easy pumpkin t-shirt with just an orange t-shirt and some black Duck Tape.